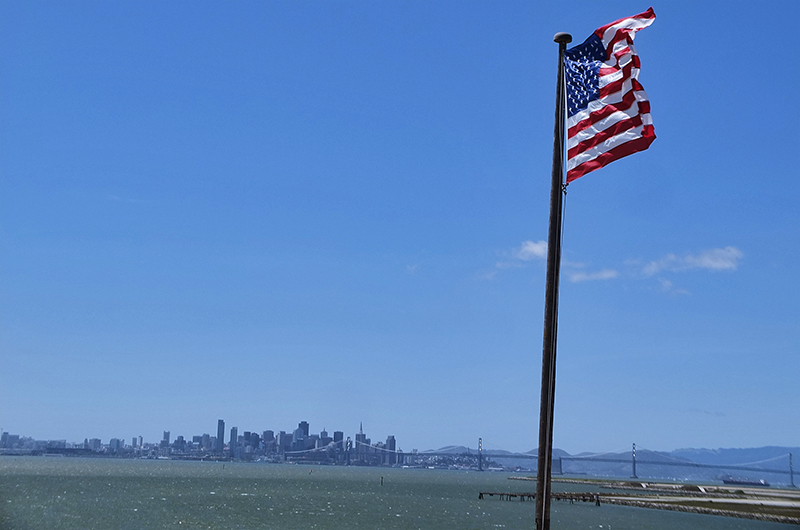 I think it’s only appropriate to begin this post with a giant American flag, because….you know…..Murica! It wouldn’t be a US aircraft carrier without a giant American flag. Right now we’ve got that out of the way, let’s continue the tour shall we? The tour I speak of is the USS Hornet CV-12, CVA-12 and ermm CVS-12, don’t worry from now on I’ll just call it the Hornet in the interests of space and time. 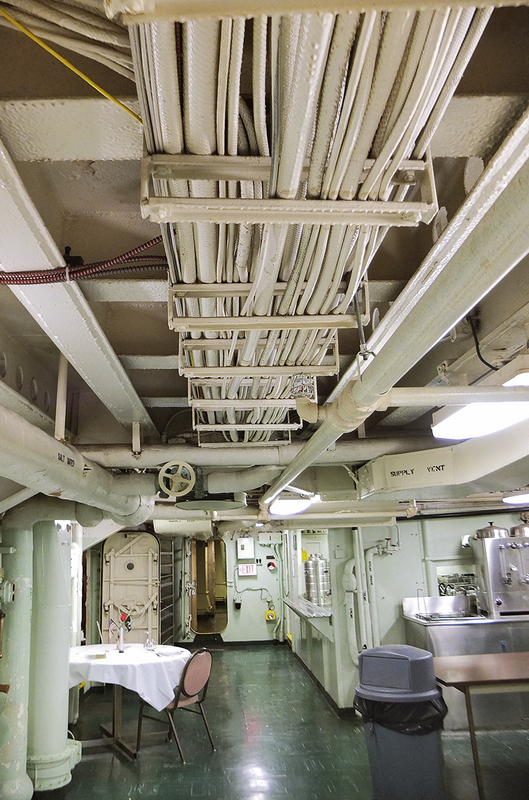 Speaking of space, this very aircraft carrier was tasked with retrieving Apollo 11 and some lads who are pretty well known….More on that later as, being an aircraft carrier, there’s a LOT to see. 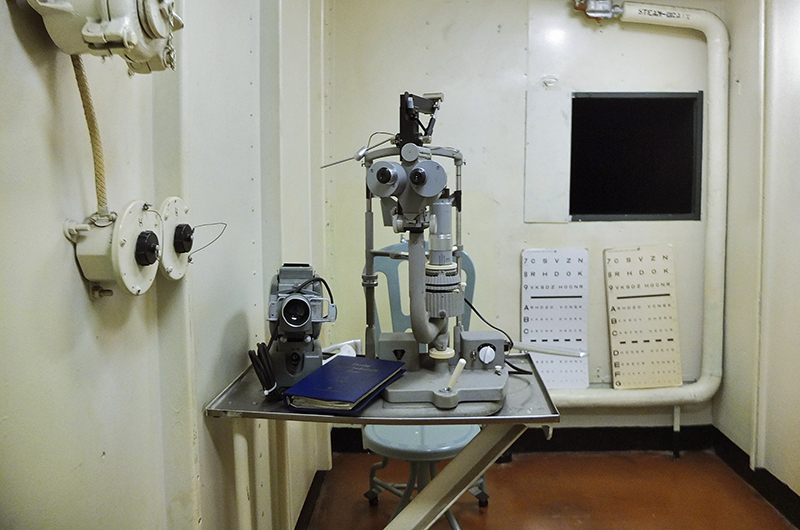 Some would think reading this blog that all there is in San Francisco are former navy vessels, and you’d be right! No i’m just kidding, it just seemed that’s what I ended up being drawn to more than other parts. 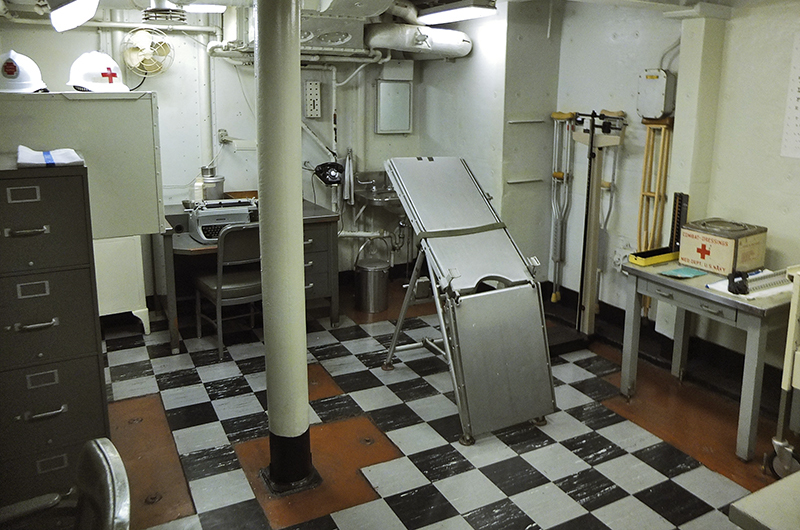 So the USS Hornet CV-12, CVA…..Sorry I digress. Getting to this floating museum without a car was a little tricky. From our base in Berkeley you took a bus into downtown Oakland and then another bus from there to Alameda, and then you had to walk through the remains of the naval base (which was actually really cool and felt like walking through an episode of NCIS or the X-Files whenever they featured a naval base). 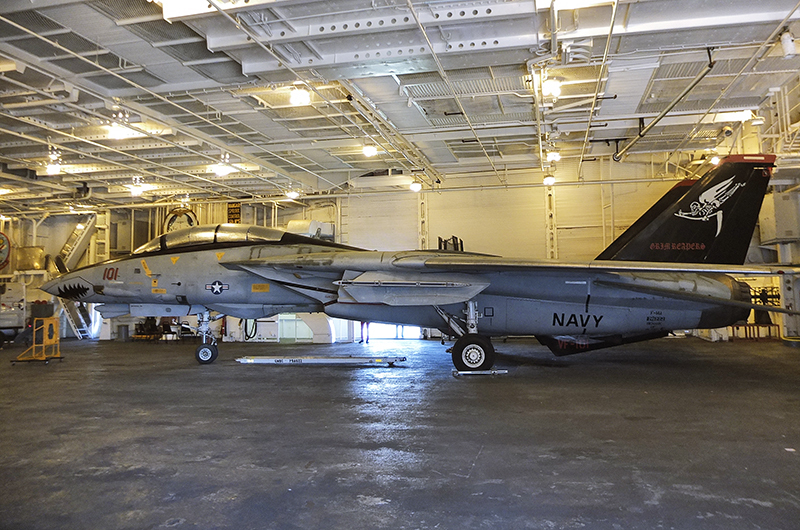 You come upon the Hornet nestled amongst a fleet of navy relief vessels that are docked up, ready to be used in case of emergency (Zombie apocalypse, that kind of thing). Approaching the USS Hornet from the car-park, it’s almost dwarfed by the vessels around it. When you step aboard you walk into the main hangar area and BAM! straight away F-14, whooooooh! 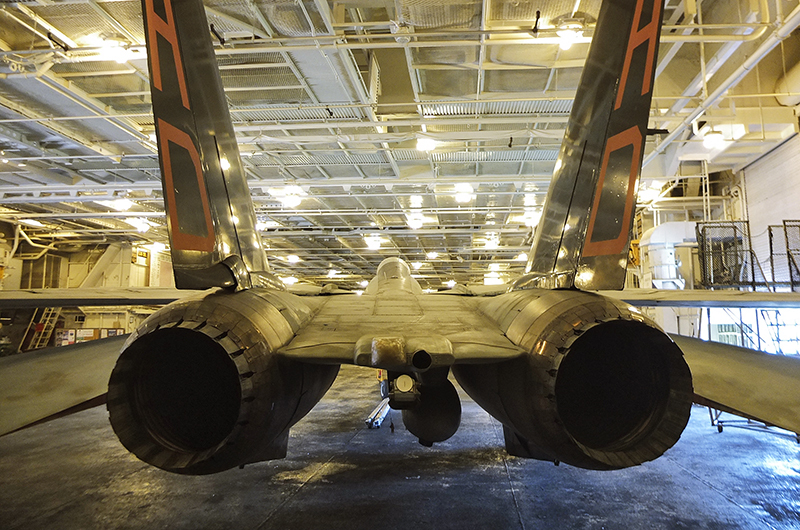 Now me being the ignorant happy as a pig in poop to see an F-14 up close and personal, ignored the fact that die-hard military historians would have a hissy fit. 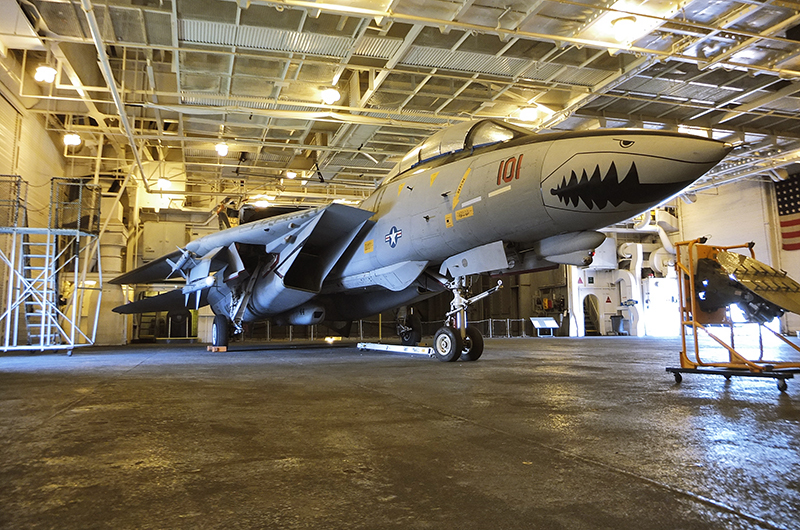 You see the F-14 doesn’t belong here, and neither does the F-4 Phantom up on the flight deck. But they’re awesome, so DEAL WITH IT. In the words of John Hammond “Ah….there it is”. 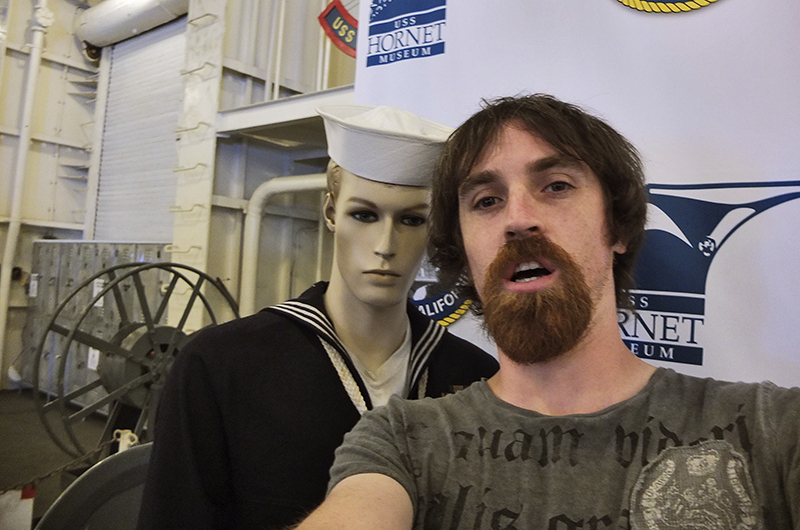 Quick selfie with my good friend here. He was a bit of a dummy to be honest. More F-14 sauce, even now my eyes are smiling and high fiving the inside of my face in appreciation. 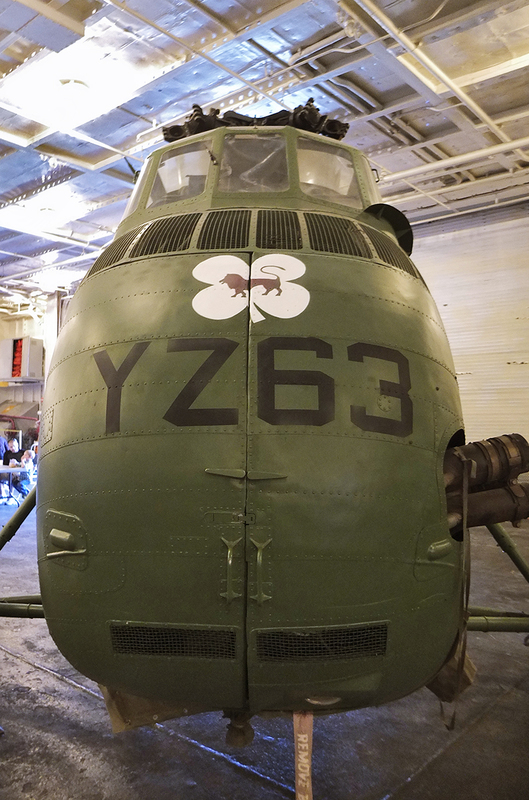 Ah the noble Seahorse, galloping through the skies, it was one of the mane Vietnam era work….horses. Oh god the puns must stop. 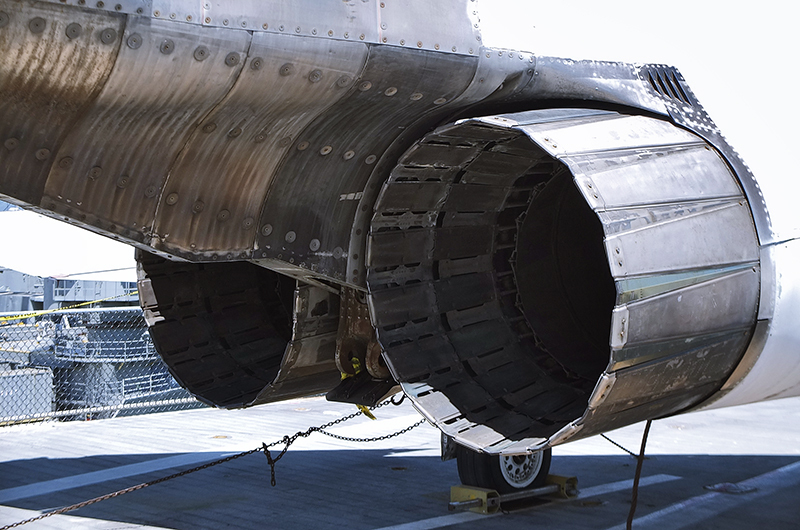 Ever wondered what the inside of an F-14’s exhaust looks like? Well wonder no more. Photo opp not recommended during operation. 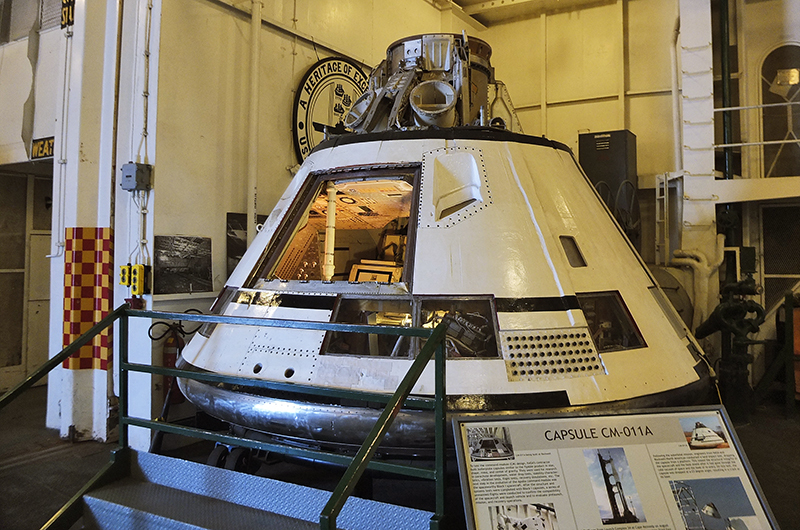 Capsule CM-011A was used to test the flight systems of the capsule before the manned Apollo missions. So yeah this wasn’t in space but still….that’s pretty damn cool. A replica of the Sea King Apollo recovery helicopter, the original unfortunately crashed. 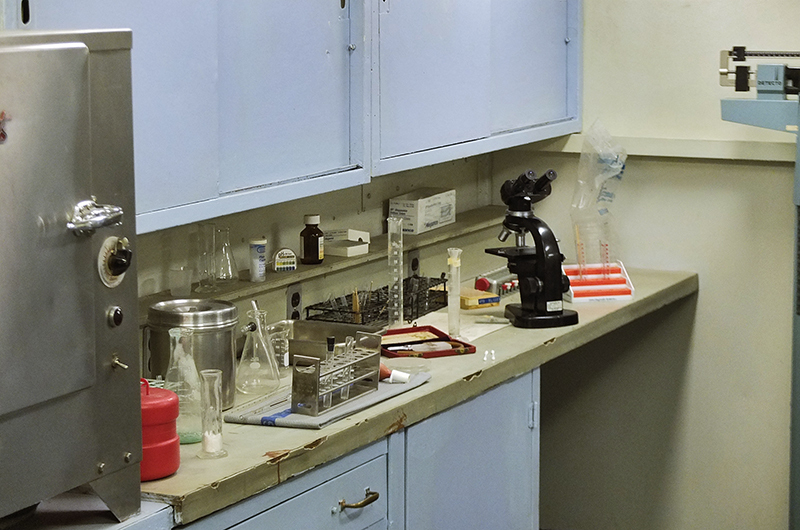 Inside the Mobile Quarantine Facility used by the Apollo astronauts. Pretty amazing to stand in the same place to be honest. And some more F-14 loveliness, can you tell i’m a fan? After exploring the hangar bay I decided to venture up to the flight-deck, via the supermarket escalator that is a genuine part of the ship and not just for tourists. There’s more aircraft up on deck and I latched onto a tour group that was up there for a more personal tour. 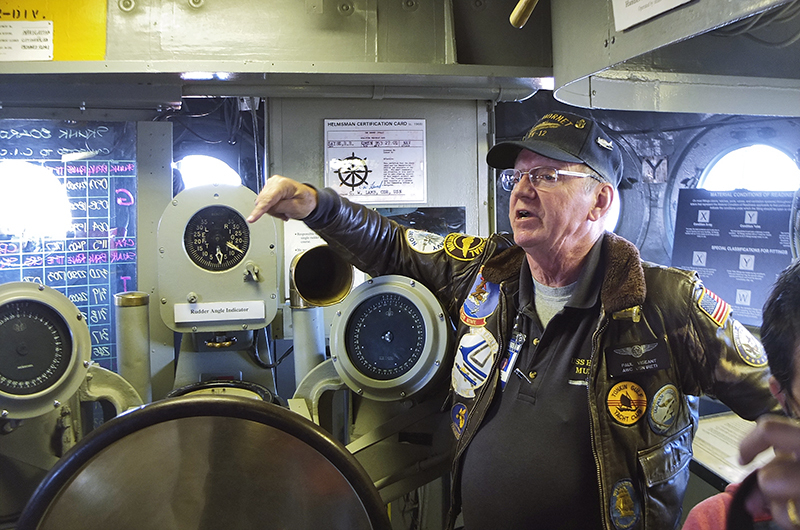 Our guide, Paul Vigeant talked us through the various aspects of the flight deck, from the procedures for launching and capturing planes to some interesting (read horrifying) stories of accidents aboard aircraft carriers over the years. He then took us up into the island to show us primary flight control, navigation and of course the Inception bridge, which is like a bridge within a bridge due to extensions carried out since it’s initial launch. 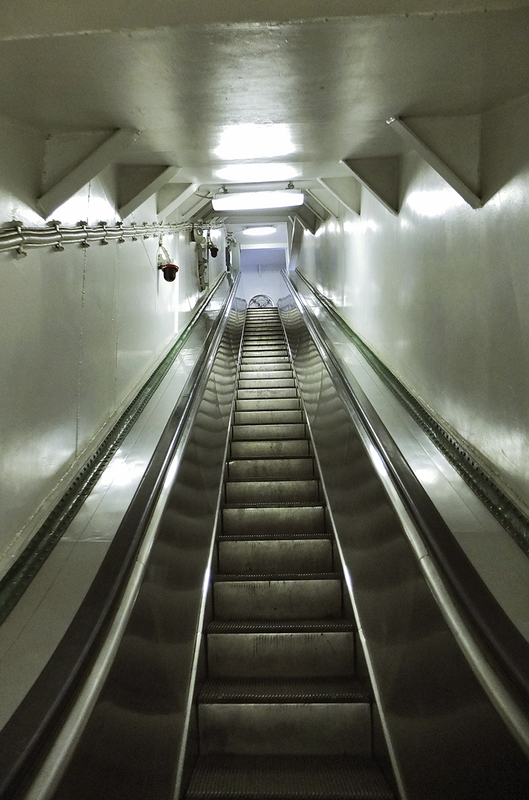 I was surprised to see an escalator onboard but it helped flight crews carrying heavy equipment up to the flight deck. Now it helps fat people get to the flight deck. Oooh sailor. 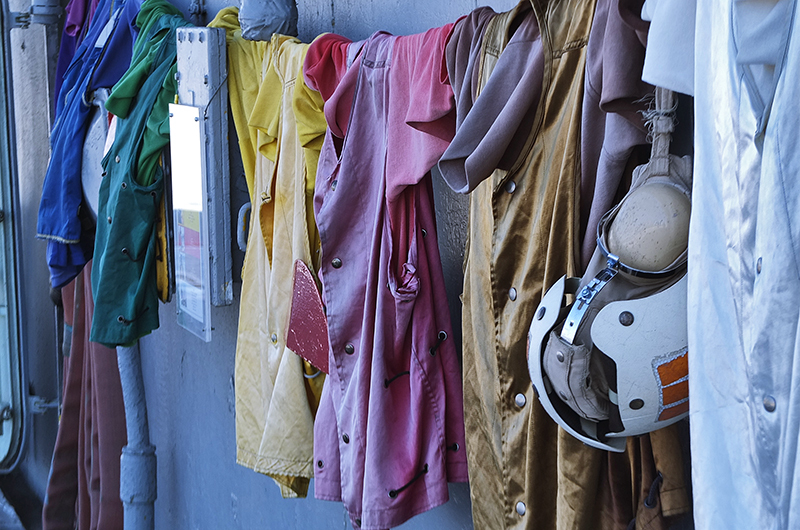 The rainbow colours of the various flight deck vests. 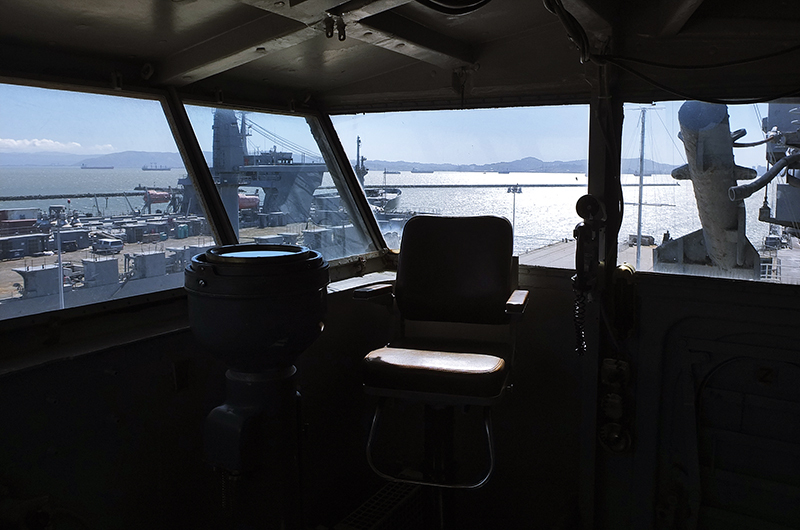 The view forward from the stern of the USS Hornet. San Francisco looms in the distance. Up close you really get to admire the metal work that goes into these aircraft. 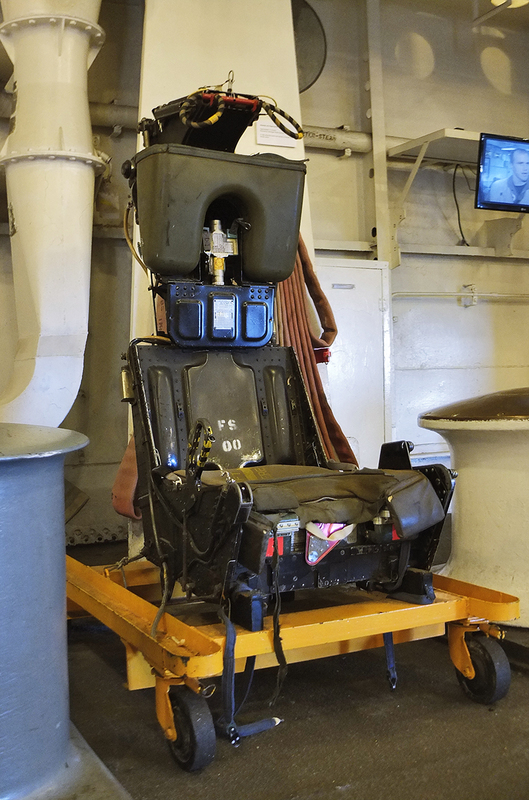 This is the back of an F4 Phantom, another aircraft that technically shouldn’t be on the flight deck. 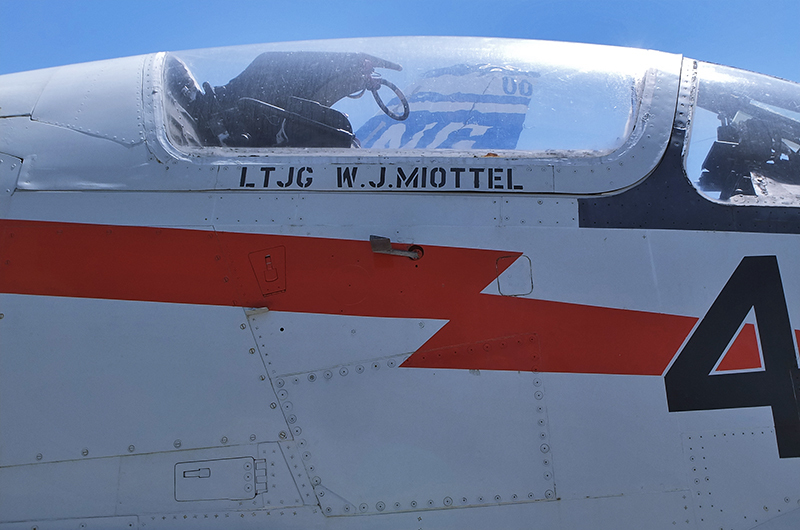 Lieutenant W.J Mottel, not to be confused with the Mattel toy company, although this is kind of a toy, but for adults. 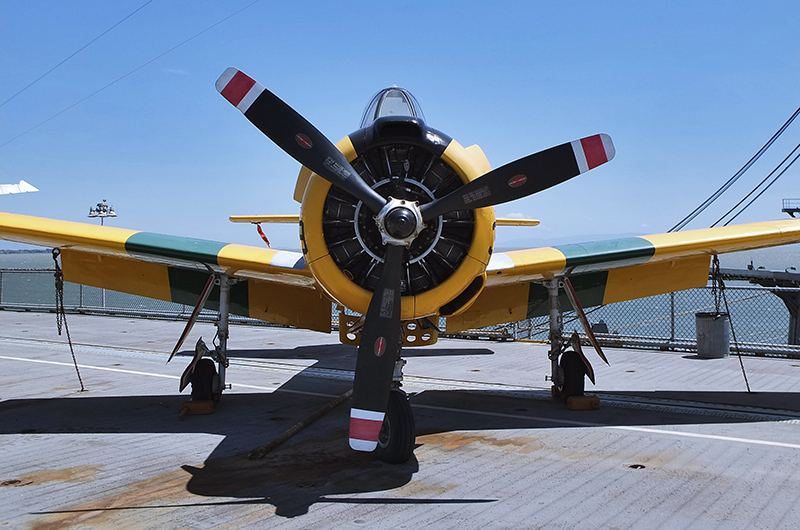 A delightful T-28 Trojan, a training aircraft. 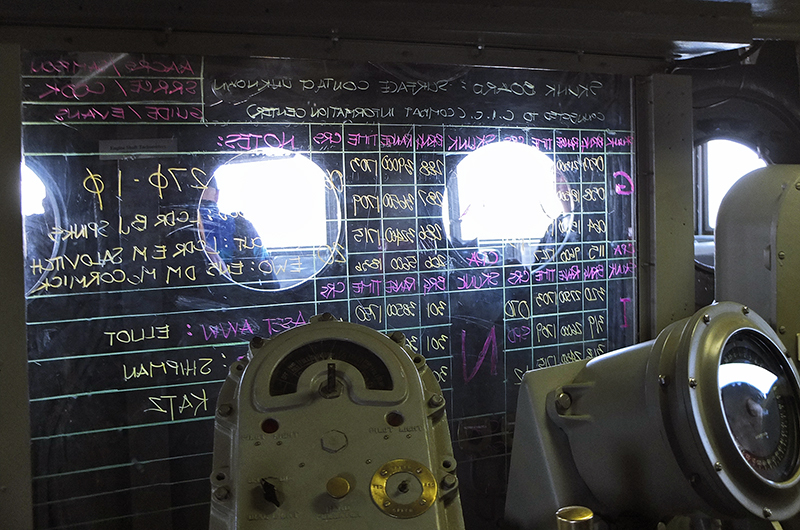 Looking forward towards the display up on the flight deck. These ships surrounding the Hornet were pretty cool looking. Nice view out over the Bay Area. Damn kids, scribbling all over the place. Mr. Vigeant explains the workings of the bridge. 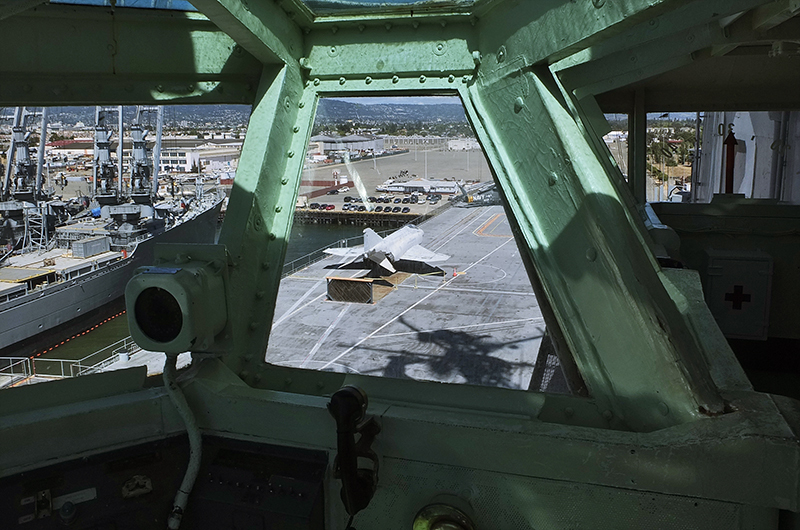 The view from the Primary Flight Deck. Shoo Phantom, you don’t belong here. 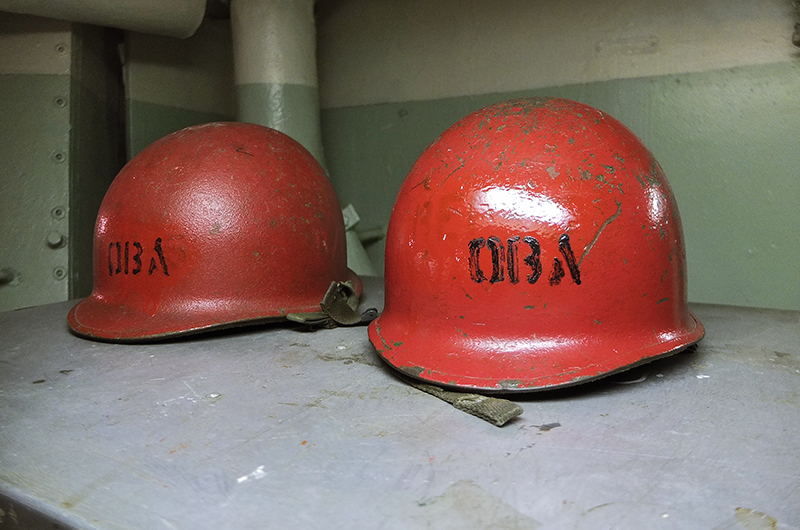 After our tour ended, it was time to explore the rest of the ship, which is more like a small city really. 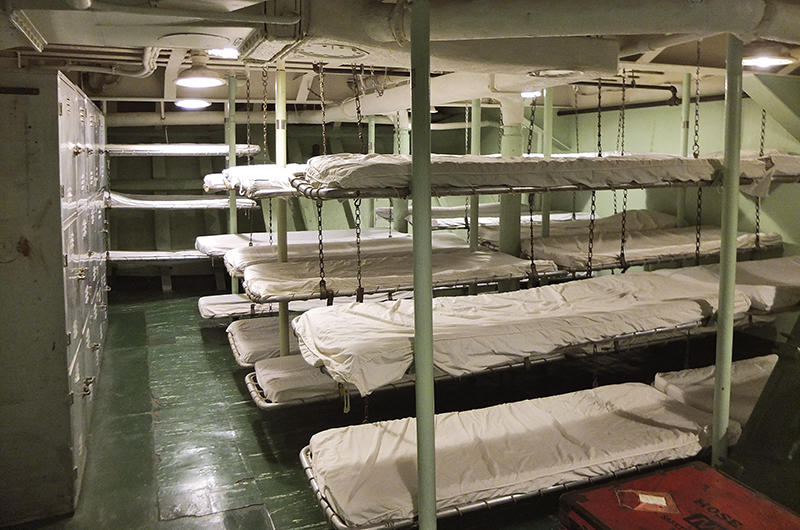 There were seemingly endless bunks for the 3,000+ crew, a large fully equipped sick bay that would put some land based hospitals to shame, laundry rooms, officers quarters, a huge kitchen with industrial grade equipment and a myriad of other rooms. 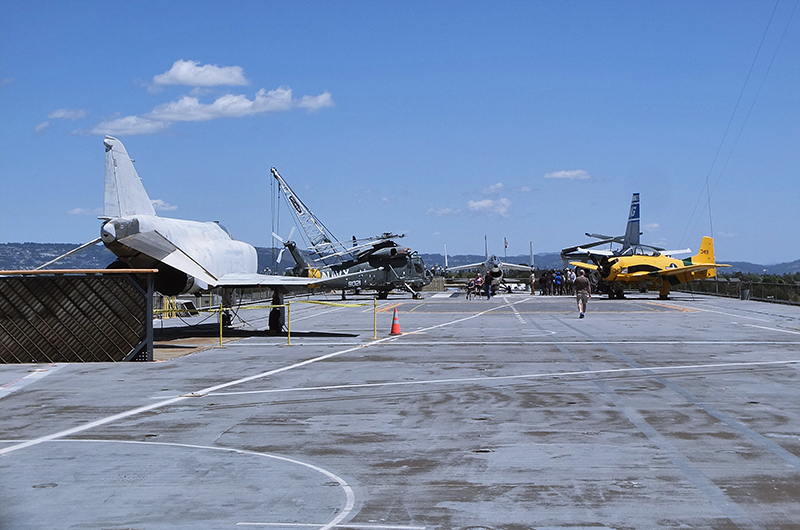 Dotted throughout were various exhibits of naval aircraft and vessels throughout history. 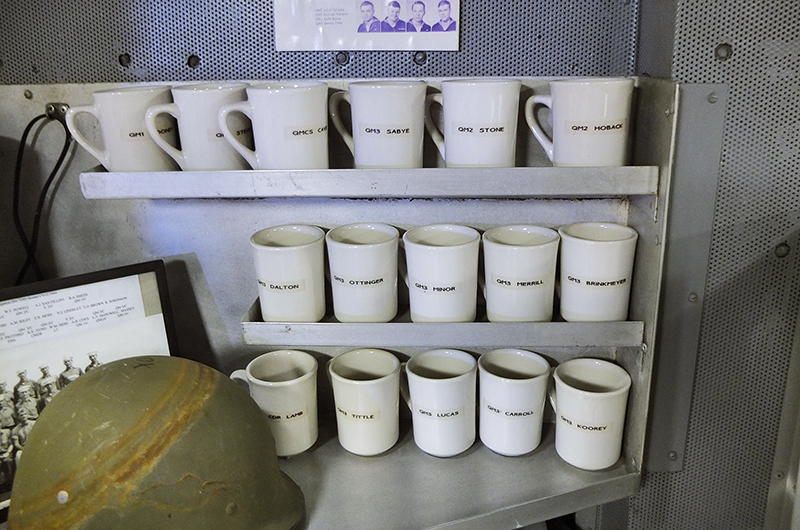 Navy guys are very picky about their mugs. Om nom nom, feed me your souls!! 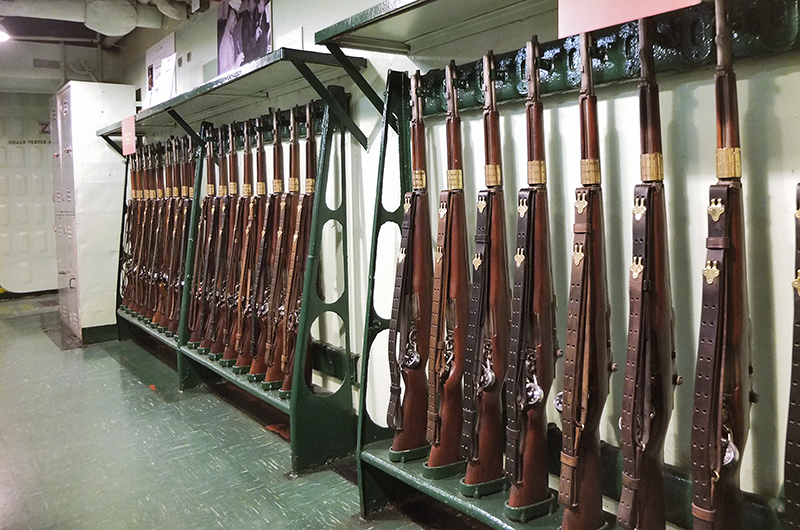 Do not touch the guns. You don’t want to go in the chair do you? 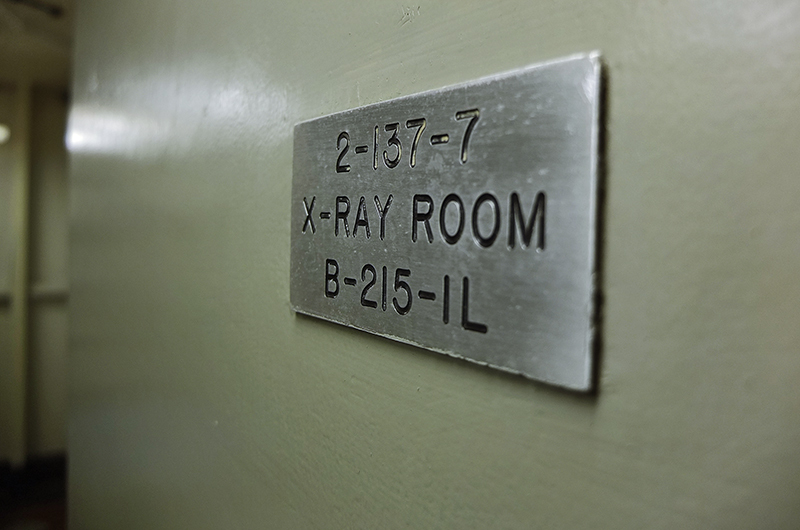 The entrance to the X-Ray room. 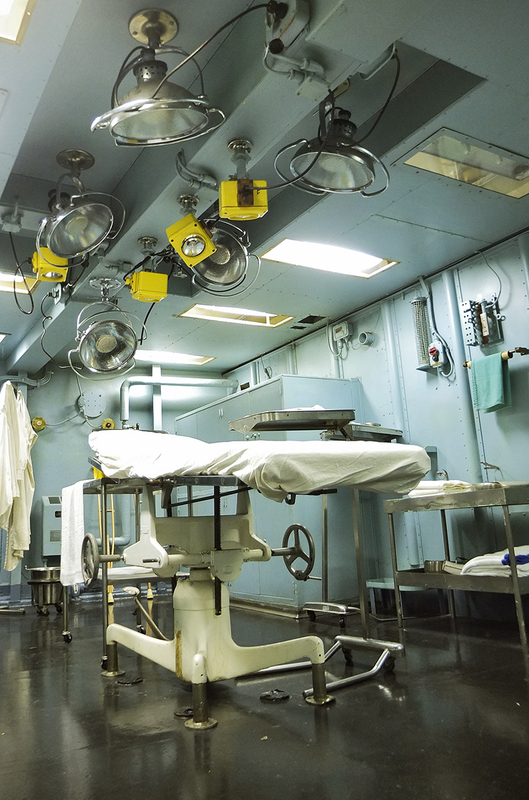 They literally had a fully equipped hospital on board. Good to know when you’re miles from the nearest port. 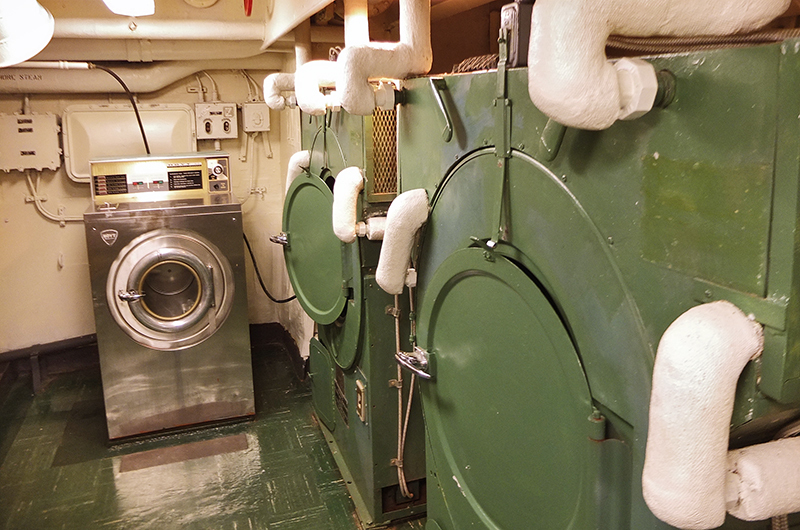 With 3,000 pairs of socks on board, you need a heavy duty washing machine….or two. 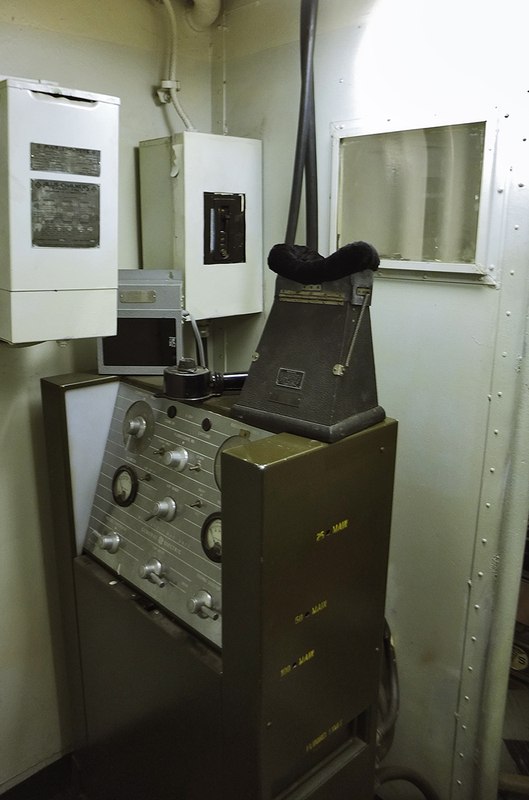 The controls for the X-Ray machine, like something out of a cheesy 50’s Sci-Fi movie. 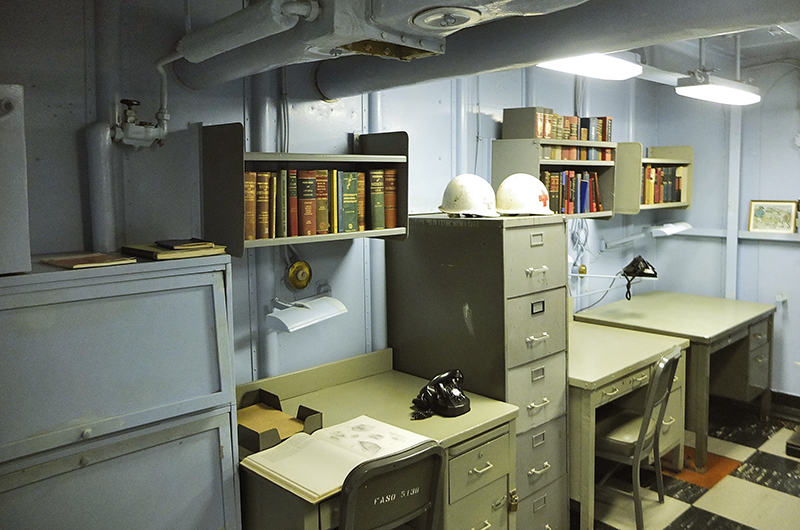 Reminds me of our Czech apartment, except this has more furniture, and books, and filing cabinets, and industrial strength aircraft carrier ventilation, and a phone, and helmets, and on second thoughts…. Eeeeeeva, Eeeeeeeeeva. Pixar’s inspiration for Wall-E right there. Dr. Ian Malcolm: [Malcolm grabs the radio off of Hammond] “Look above you. There should be a large power cable, and pipes in the same direction. Follow that”. 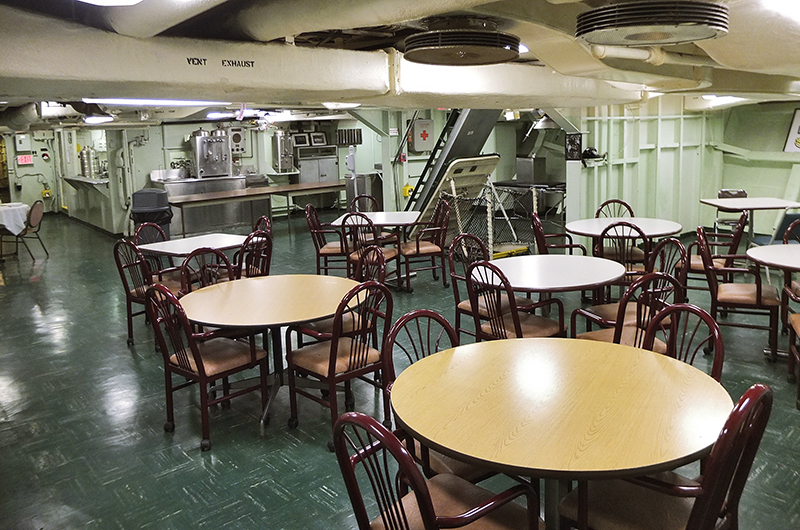 The Officer’s Wardroom, or lounge if you will. 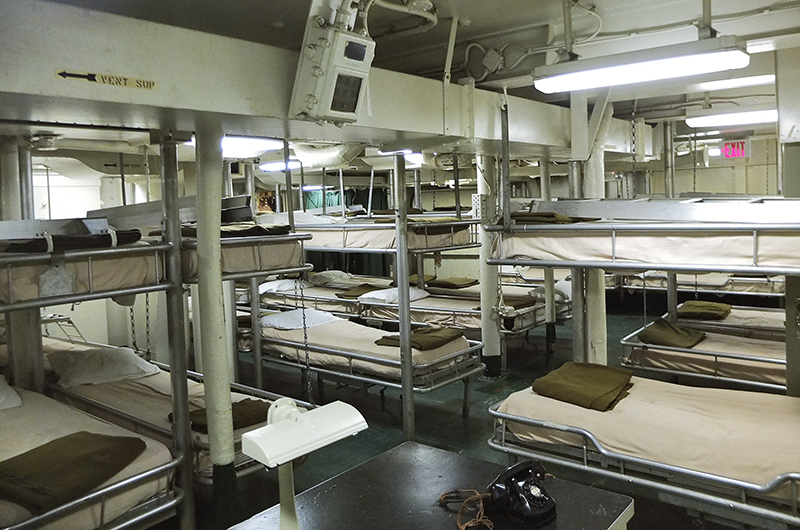 I wonder how many personnel hit their heads on the bunk above them in an emergency situation. 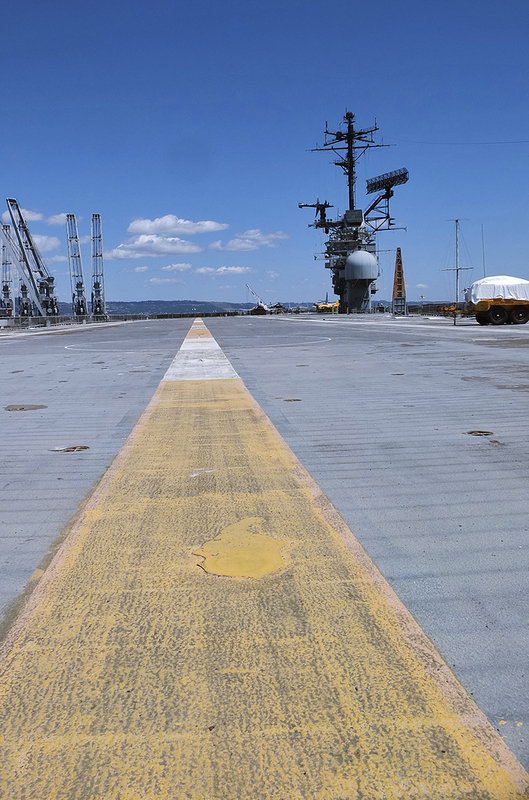 I’d definitely recommend a trip to the USS Hornet if you’re in the area of Oakland/Alameda and have an interest in military history, or if like me you’re just a big kid inside and the possibility of going on an aircraft carrier is an easy decision to make. I’d also join one of the guided tours as you find out much more than you would by just walking around. *Joke! 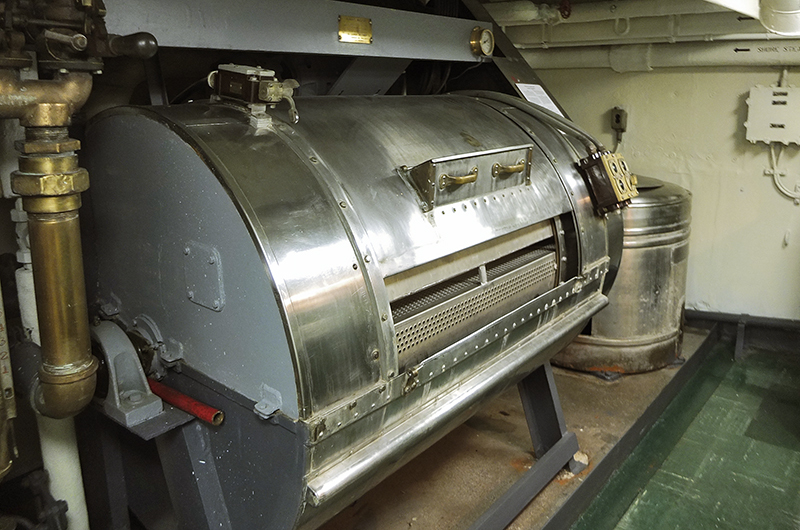 Please don’t write angry letters to the US Navy. *Again, not true. No letters to the Navy please.